Complete and comprehensive fitting utilizing Retul motion capture. Includes consultation, physical bio-mechanical assessment, left and right side analysis, cleat adjustment, mechanical positioning, equipment recommendation, 3D bike measurement and PDF archiving of all data. 3D fits are performed on Road, Mountain, Triathlon, Time Trial, Touring, Cyclocross, Track, and Tandem Bicycles. Save money by fitting two bikes in the same session. Choose and schedule the time slot following your primary appointment. Fittings will be performed back to back. Are you considering a new bike or comprehensive component changes? Get dialed in using our custom Exit-Cycle Sizing Cycle. No bike necessary. 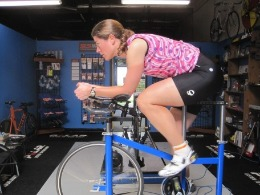 Note: The first hour of your Sizing Cycle Fit is applied/credited towards a complete final fitting on your new bike. Are you experiencing discomfort with your current saddle? Planning to buy a new saddle? Use our Sizing Cycle or your own bike to test different saddles before you buy. Buy a saddle from Hypercat and $25 is applied toward your saddle purchase. Demo saddles are also available for outside testing pre-purchase. Determine your proper cleat position. 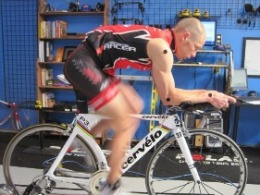 (This service is included in 3D dynamic bike fitting session). Adjust for varus/valgus, install cleats, wedges, shims, spacers and/or insoles if appropriate. DO NOT BOOK THIS SERVICE IF YOU HAVE KNEE, FOOT OR HIP PAINS. Those are bigger issues and need to be addressed during a proper fitting session. This service is for clients with a good fit and are swapping shoes and/ or pedals or having some minor cleat position issues. . Note: Price does not include parts. 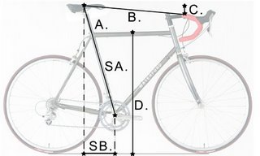 it is also highly recommended to have your bike digitized (#7) after having cleats installed/ positioned to note saddle height and bike position. Follow-up appointments are used for equipment changes, minor adjustments, setting up a new bike, small tweaks and cleat readjustment. 30 days post initial fit are no charge. 31+ days is $50 per 30 minutes or TBD by fitter. Personal check, major credit card and Paypal accepted. Parts and labor for installation are extra.